It’s a family affair! 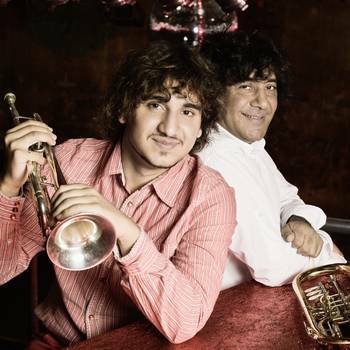 Boban i Marko – father and son. 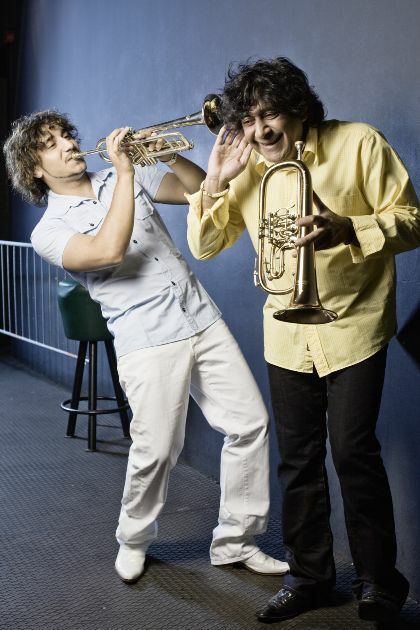 The former the most highly decorated superstar of the Balkan Brass trumpet, the latter following hot on his heels. 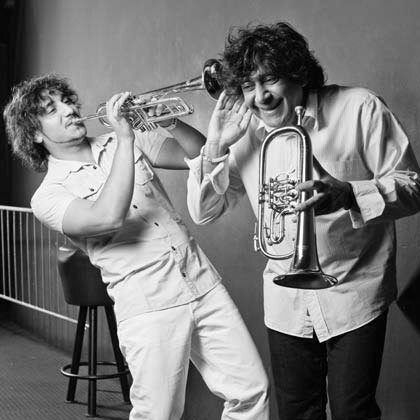 They’re the old and the young leaders of one of Balkan brass’ most highly acclaimed and successful ensembles – and the old and the young enfants terribles of trumpet! 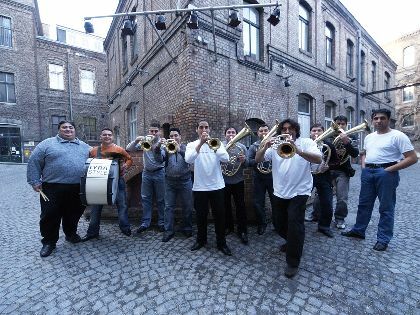 The annual brass band festival ‘Dragacevski sabor u Guci’ in Guca, Central Serbia, is the benchmark competition for brass bands the world around. 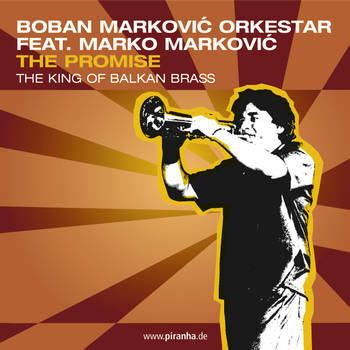 Boban Markovic is its undisputed king. 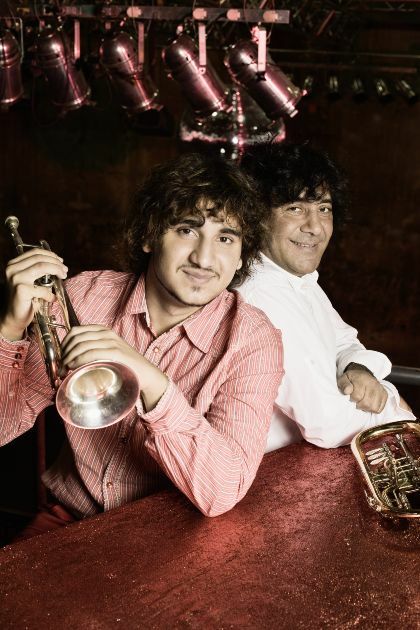 When – after habitually triumphing as the winner for years – he became the first artist in the history of the festival to win “The First Trumpet” with the highest possible score of all jury members in 2001, he finally decided not to compete anymore. 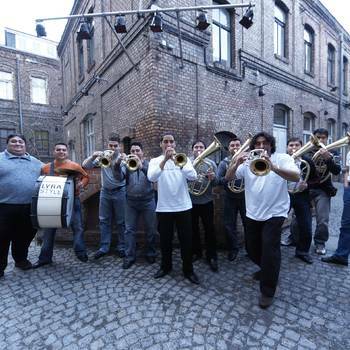 The Guca Festival awards are not the only proof of the orchestra’s status as the world’s premiere Balkan brass band. 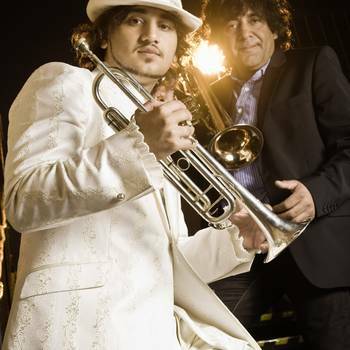 Established by the Serbian Boban Markovic (born 1964), the Markovic Orkestar – “9 brass brutes”, as Los Angeles-based Flaunt magazine quite lovingly called them – could already look back on a highly successful career of touring the world for some 20 years and nine albums under its founder’s artistic direction before Markovic Sr., as per tradition, handed over the leadership of the ensemble to Markovic Jr. on Marko’s 18th birthday. 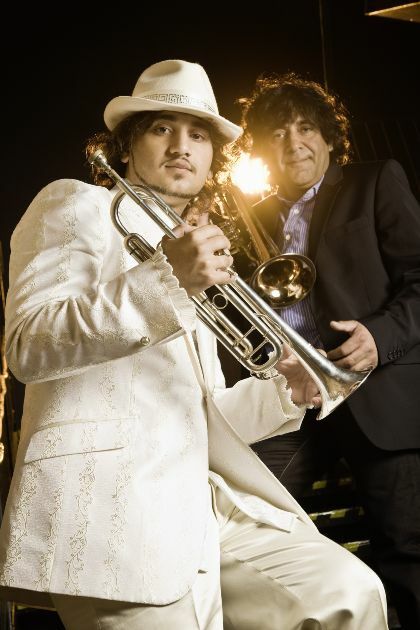 It’s needless to say that Marko, who had been playing the trumpet almost since day one, had long been a full-fledged and experienced artist in his own right by then. 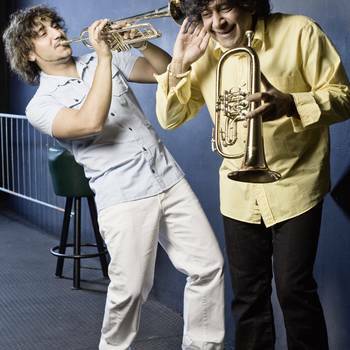 The background of the Orkestar’s sound is the family’s gypsy heritage, the musical foundation the Balkans – but underneath, sneaking through and on top of it all we get klezmer, jazz, latin, funk and heavy helpings of dancefloor, too. 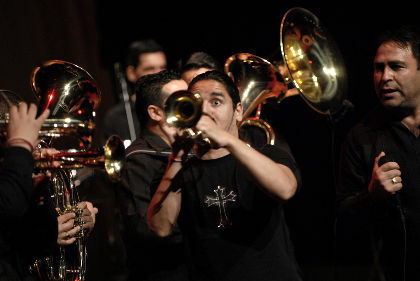 When the pedal is put to the metal, it will be Balkan brass staccato all over, just like you’d think it would. But at times, it might also be smooth and moody in a manner that approaches the lounge and the chill-out – what is the next generation good for, after all, if not having an ear for the sounds of the day? 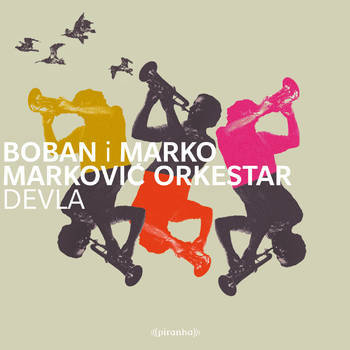 It’s the perfect bridging of the generations and their musical tastes, now that Boban i Marko are co-headlining and co-leading; a combination that – with all the inherent dynamics between its protagonists – promises to stay both lively and musically fertile, out of principle; a combination that will certainly cross over to the next generation (even if Marko – starring as the young Romeo who falls in love with a Serbian Juliet against a backdrop of typical Balkan racial tensions in Dusan Milic’s “Gucha Distant Trumpet” – has acquired a taste for the movies and is crying for more). 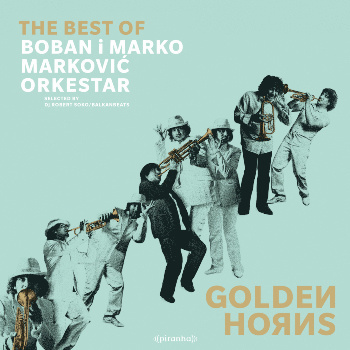 It’s a family tradition, after all: the family that plays together stays together – Boban i Marko Markovic and their Orkestar certainly know that! 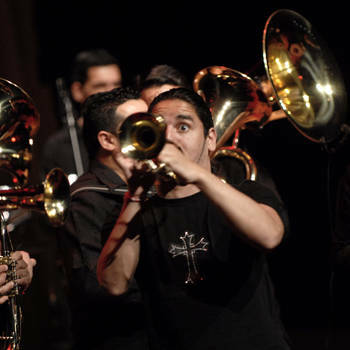 "... a stunning blast of exuberance & virtuosity." 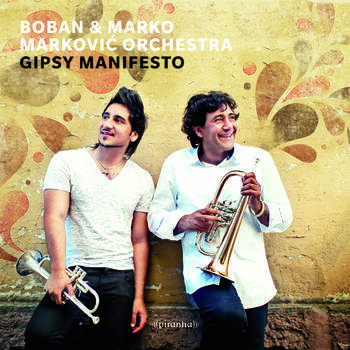 "Having dominated the Balkan brass world in the 20th century, Boban and Marko have now chosen to do no less than redefine the genre. There isn‘t a band on the planet that can touch them."